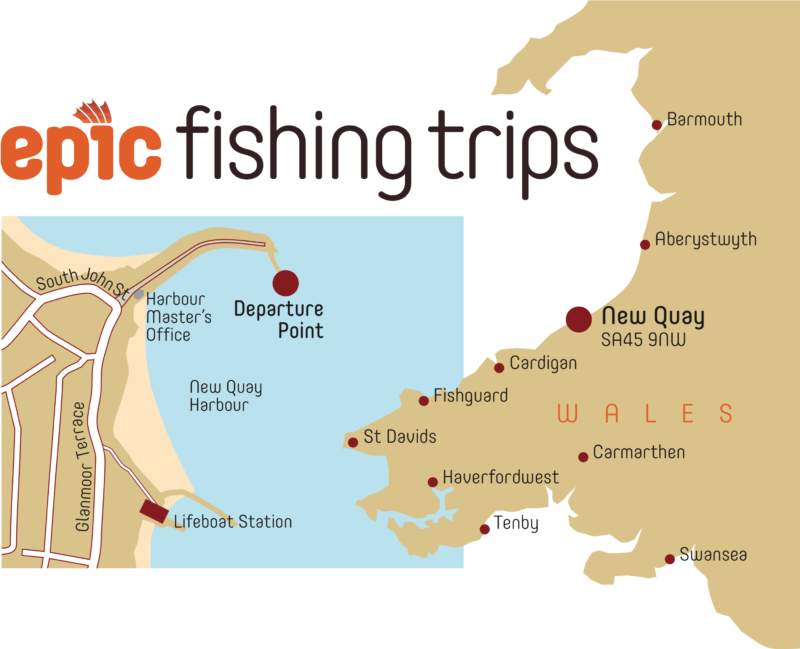 All trips depart from the big pier in New Quay, West Wales SA45 9NW. We have no booking office or shop. or call us on 07989 496 526 for any enquiries. Please note that we run to a schedule and will leave on time. Sorry but late arrivals will miss the boat - no refunds will be given. 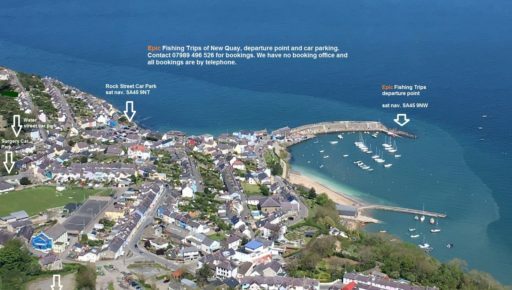 Please leave ample time for parking and to walk to the departure point. Please wear sensible footwear and take care at all times. To make a booking, payment is required in advance. Easy payment options will be made available upon your contact with us. Please be aware that trips may be cancelled at short notice due to weather. Terms and Conditions apply. 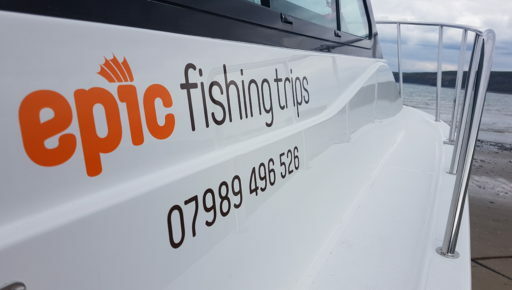 Please email us at tim@epicfishingtrips.co.uk for any enquiries.